Two satellites have recently been slowed down in their climb to Geostationary Orbit due to main engine issues and a high-profile missile-warning satellite for the U.S. Air Force has been grounded while any commonality is assessed between the propulsion systems in use on the satellites. The U.S. Air Force recently pushed back the launch of the third satellite for the Space-Based Infrared System (SBIRS) – a critical component in the U.S. missile warning architecture. SBIRS is a $19 billion program to follow the Defense Support Program, establishing a space-based missile early warning architecture by placing infrared-sensing satellites into Geostationary Orbits as well as inclined elliptical orbits to cover all directions of potential incoming missiles. Lockheed Martin is on contract to build six SBIRS-GEO satellites, two of which have already launched in 2011 and 2013. All are based on the A2100M satellite platform and weigh around 4.5 metric tons at liftoff, employing a scanning and staring sensor to pick up the infrared signature of missiles flying through the atmosphere. SpaceNews acquired information from Lockheed Martin confirming it had not built the satellite that experienced the problem delaying SBIRS-GEO 3, ruling out the MUOS 5 satellite that got stranded in an orbit halfway between its initial insertion orbit and its operational Geostationary Orbit due to a malfunction within its main propulsion system. 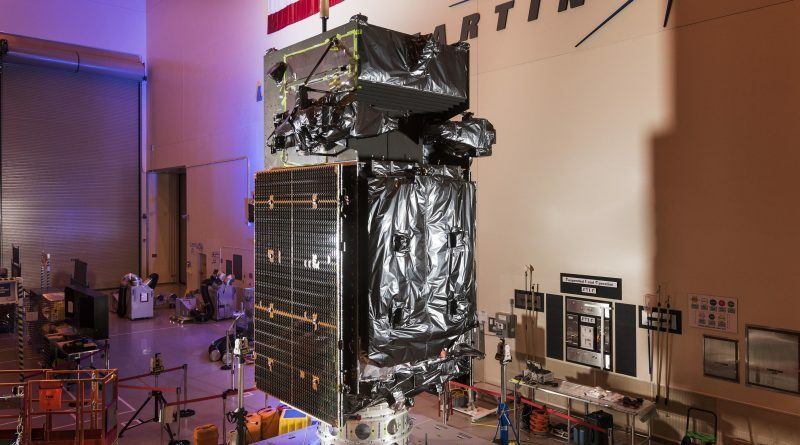 The only other satellite that suffered a publicly known issue is Intelsat 33e that launched atop an Ariane 5 rocket on August 24 and entered an elliptical Geostationary Transfer Orbit. From there, the satellite successfully lifted itself into an orbit of around 9,950 by 35,750 Kilometers at an inclination of 2°. However, at that point with still a ways to go until reaching GEO, the satellite stopped orbit-raising maneuvers. Satellite operator Intelsat issued a statement on September 9, confirming that “due to a malfunction in the primary thruster used for orbit raising, the orbit raising will take longer than planned.” Instead of entering service in the fourth quarter of 2016, Intelsat 33e now looks at a modified orbit-raising plan and will hopefully arrive in Geostationary Orbit by the end of the year to be able to enter service in early 2017. At present, the satellite is found in an orbit of 15,756 by 35,804 Kilometers, making steady progress to meet the revised in-service schedule. While it is not officially confirmed that Intelsat 33e is responsible for the SBIRS delay, the common denominator between the two satellites is their main engine. 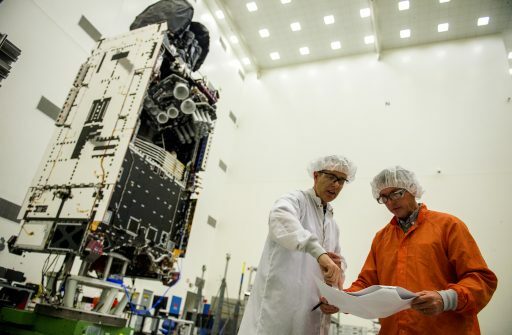 Engine manufacturer Moog lists on its website that the company’s LEROS Liquid Apogee Engine is employed by the SBRIS-GEO satellites as well as Boeing’s 702MP platform which is utilized by the 6,600-Kilogram Intelsat 33e satellite. According to media information, the U.S. Air Force was also looking for a link between the thruster failures on MUOS 5 and Intelsat 33e, even though both use engines from different manufacturers. 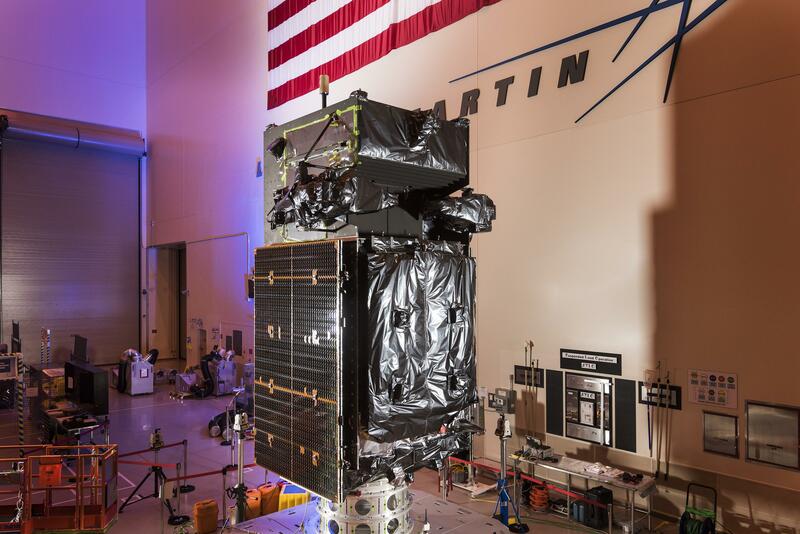 MUOS 5 launched atop an Atlas V 551 rocket on June 24 and was dropped off in an optimized Geostationary Transfer Orbit three hours after launch, set for a week-long orbit-raising campaign. 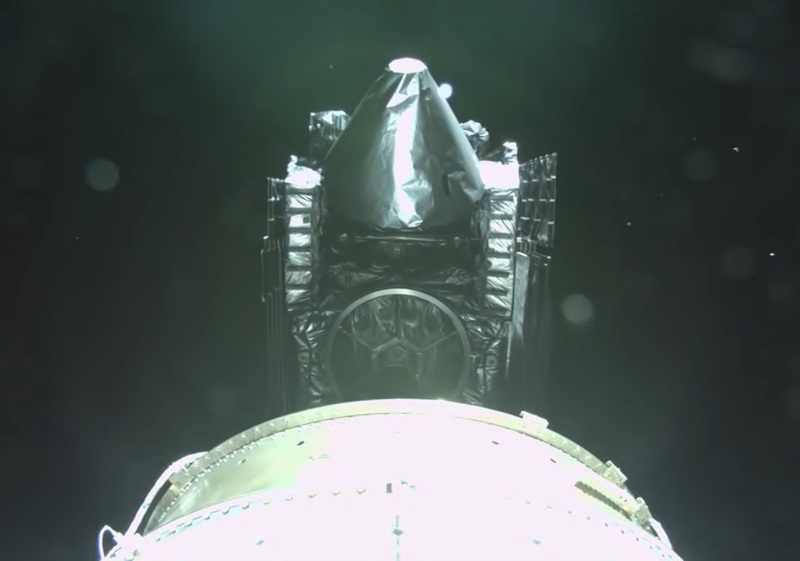 An apparent fault within the satellite’s main propulsion system left it in a 15,250 by 35,700-Kilometer orbit, inclined 9.8° – about halfway to its intended Geostationary Orbit in terms of change in velocity needed to reach the satellite’s destination. 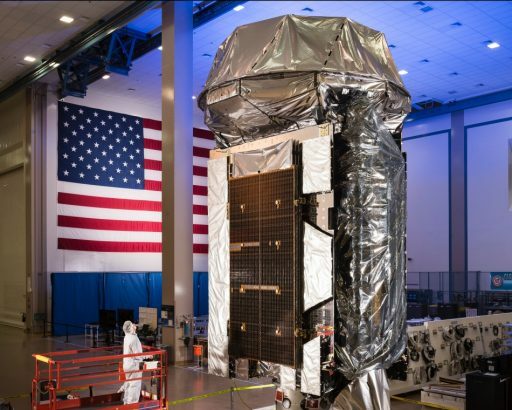 In response to the failure, the Air Force’s GSSAP Orbital Patrol Satellites were requested to link up with MUOS 5 at the high point of its orbit to acquire high-resolution imagery of the satellite’s propulsion system to help diagnose the problem. Eventually, the main propulsion system was confirmed to be lost for good, requiring an alternate orbit-raising plan for the satellite. By early September, MUOS 5 had started employing its smaller Reaction Control Thrusters to lift the low point of its orbit to 15,750 Kilometers according to observations made by satellite trackers. In an update posted on Saturday, MUOS 5 is shown in an orbit of 16,102 by 36,683 Kilometers, indicating that teams have picked up the speed to maneuver MUOS 5 into GEO over the coming weeks. MUOS 5 is outfitted with a BT-4 main engine built by IHI Aerospace, based in Japan. While the thruster is different, there may still be commonality between MUOS 5, Intelsat 33e and the SBIRS satellites. Propulsion systems centered around BT-4 (e.g. 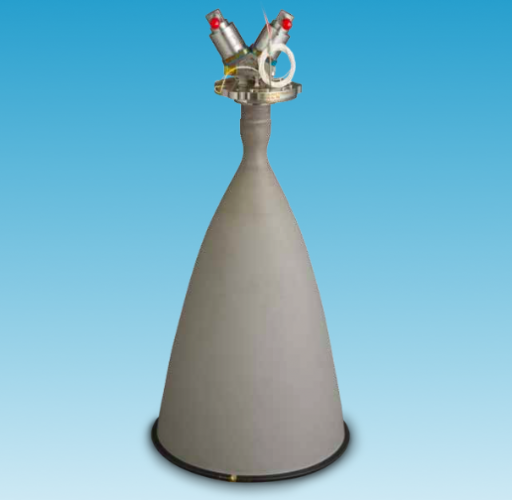 AEHF), in the past, have used a number of components including Flow Control & Isolation Valves and manifold parts that are also in use on Leros-driven propulsion systems. As part of the ongoing reviews, all involved companies and agencies are likely cross-checking the three satellites for common components to help in the isolation of the fault affecting the two satellites in orbit and possibly present in spacecraft still on the ground including the SBIRS-GEO 3 satellite as well as NASA’s GOES-R weather satellite that is looking at a launch target in early November.